Are your cash expenses always Reimbursable? Have your employees incorrectly submitted Non-reimbursable cash expenses? Is it difficult to tell which expenses are Reimbursable and not when reviewing a report? If so, you're going to be very excited for this update. 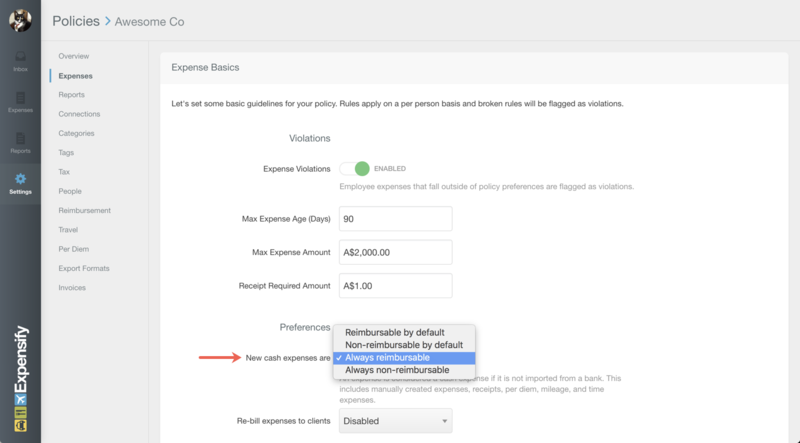 We've added two new options to the policy settings for cash expenses. 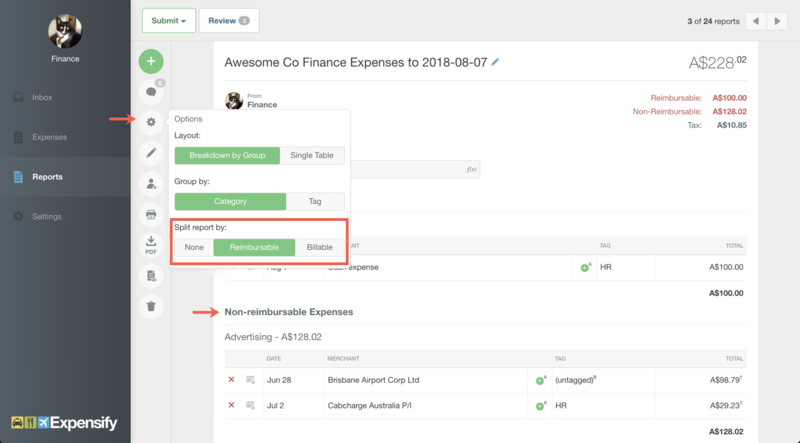 In addition to the existing default options, you can now also set cash expenses to be Always reimbursable or Always non-reimbursable. A cash expense is any expense not imported from a bank. This includes manually created expenses, receipts, per diem, mileage, and time expenses. Selecting one of the "Always" options will disable the Reimbursable checkbox on web and toggle on the mobile. Meaning your users can't change the selection, and you can guarantee that all expenses are classified correctly. We've also added a new report view on web to make it easier for submitters and approvers to see which expenses are Reimbursable and Non-reimbursable or Billable and Non-billable. When viewing a report grouped by Category or Tags you have the additional option to split the report by Reimbursable or Billable. This selection will separate out expenses under the relevant heading, making it easy to confirm that all expenses are correctly classified. Note: Any preferences currently set on a policy have not been affected by this change.